It looks like the globe is on fire trading crypto, but is digital currency the only use case of distributed ledger technology? In this article we will find out what blockchain is and reasons it became mainstream as well as the heights it can reach in 2018. Distributed ledger technology is a pool of peer-to-peer transactions with no authority at its core controlling and monitoring the ecosystem. Real-time updates similar to editing the Google docs where two people see the immediate results while either of them is making changes to the sheet. Unlike with banks, that limit the access of a participant for a short period of putting on hold the visibility of account balances playing with them. Shared ledger with equal access for everybody is the idea behind blockchain. The Pledge of DLT: will it Deliver on its Promise? The giant potential of blockchain is mainly seen in pushing out the middleman for these types of transactions that would from now on happen without any watchdog. Subject matter experts say that bitcoin and ethereum were just tiny baby steps blockchain made to enter the global market, it’s grand opening. No one could think about before Satoshi Nakamoto came up with his white paper where he explained nuts and bolts of his idea of a decentralized digital cash system. So what is the further scenario of this powerful instrument will unfold? While there is a possible feast for crypto junkies is likely to happen in Eastern Europe, in far away Seol government has put its concerns on paper introducing the rules in digital currency trade. In China, the legal status of crypto remains blurr. EU is on alert too with its amendment of the European Union’s rules. The situation with crypto-related legislation is similar in the US where U.S. Treasury’ Department inspects unlawful uses of bitcoin. How strict these rules will get worldwide in the nearing future is a question to think of. Since there were too many freudent ICOs in 2017, Coindesk predicts a tough life for this category. With many businesses that tried to raise capital through ICO without legit operations behind their tokens, regulators might come after such trailblazers and their ambiguous business practices.Although short-term speculative profits were the reasons behind many acquisitions, in 2018 there are likely to be new horizons for ICOs to raise equity for startups and innovate. Security tokens might be on top of charts since they’ll reflect financial assets, such as stocks, bonds, and futures contracts. Forbes contributor is sure that when the world of blockchain and IoT unite, the security between interconnected machines both as part of our homes and on enterprise level could be strengthened. Blockchain could become an ideal approach for automated micro-transactions made between machines. This application case of distributed ledger aspect in recording machine performance for further analysis so that the nodes could effectively “pay” one another when belonging to different organizations. Blockchains guarantees permanent records of transactions as they occur in real time. Such an arrangement creates an access to public records the minute they are undergoing change for the information is shared across a large network of numerous computers that is hard to cyber attack. 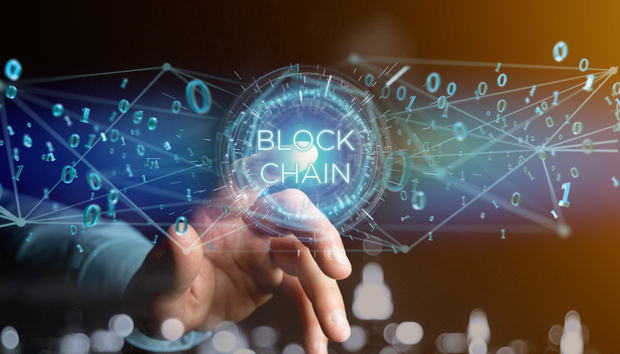 Due to such level of security, governments consider blockchain as a means of putting public records on virtual ledgers that are more reliable than centralized databases. For example, Dubai and Estonian authorities are the trailblazers that allow their citizens access medical records disrupting the healthcare industry. The talk about cashless society has been going on for some time, but only now it starts to feel like a real thing. Better security, eliminating the necessity of banks, instant payments and lower costs are only a few known benefits blockchain can offer when fully integrated with financial system. In Sweden, for example, 80% of purchases are made without using the actual money. They believe the next one in the row is APAC. For instance, during a last year demonetization in India people were massively using digital wallets paying for goods and service without using actual paper rupees. Cashless economy in India seems very promising and this is just the beginning of global shift to cash-free life. The time will dot the i-s and cross the t-s showing us more power of blockchain and chances of it becoming the reason for global transformation of the world we know today.